Lipitor (atorvastatin) is a statin medication that is approved to lower cholesterol in conjunction with diet and exercise. Launched in 1997, the drug became the top-seller in its class just three years later. Even after it lost patent protection in 2011 and had to face generic competition, Lipitor continued to be a strong performer for Pfizer, Inc. In fact, the popular medication was expected to generate roughly $3 billion in sales in 2015. Lipitor: How does it Work? Statins are the most widely-prescribed drugs in the U.S., and Lipitor is the most popular of all, with life-time sales amounting to more than $131 billion. Lipitor and other statin medications are intended to lower a patient’s risk of heart attack and stroke by reducing levels of LDL or “bad” cholesterol. A waxy, fat-like substance, cholesterol is found in all of the body’s cells and does play a role in some vital functions. However, high levels of LDL cholesterol can build up in the arteries. This condition, called atherosclerosis, causes the arteries to stiffen and narrow, increasing an individuals risk of heart attack and stroke. Lipitor and other statins work by blocking HMG-CoA reductase, a liver enzyme needed to produce LDL cholesterol. Lipitor also increases HDL, or “good” cholesterol, which protects against heart attack. Muscle Disease: Lipitor may cause serious muscle problems, including myopathy, a condition in which muscle tissue fibers do not function normally. Some Lipitor patients have also experienced a severe form of myopathy called rhabdomyolysis, a potentially life-threatening condition that can lead to kidney damage. Lipitor patients should contact their doctor if they experience signs and symptoms of muscle disease, including pain, weakness or tenderness of the muscles, and dark urine. Taking certain antibiotics, antifungals, and treatments for HIV and hepatitis C in conjunction with Lipitor may significantly increase the risk for these complications. Liver Problems: Liver function tests are generally performed before a patient is prescribed Lipitor. Because the drug can cause liver issues, patients should contact their doctor if they feel unusually tired or weak, lose their appetite, suffer pain in the upper belly, notice dark or amber colored urine, or experience yellowing of the skin or eyes. 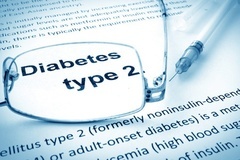 Type 2 diabetes: The Lipitor label includes information regarding its potential to effect blood glucose levels. In 2012, a study published in the Archives of Internal Medicine reported that elderly women taking any statin face a 48 percent increased risk for diabetes compared to those who did not. Common adverse reactions reported in Lipitor trials included cold symptoms, diarrhea, fever, urinary tract infection, joint pain, and pain in the extremities. Cognitive impairment, abdominal discomfort, blurred vision, musculoskeletal pain, hyperglycemia, tinnitus, malaise and hepatitis have also been reported in clinical trials or by Lipitor patients. Lipitor should not be taken by pregnant women or those planning to become pregnant. Because Lipitor has also been shown to pass into breast milk, it should not be used by nursing mothers. The medication is also contraindicated in people with liver problems or those who are allergic to any ingredients in Lipitor. As of October 2015, more than 2,500 Lipitor lawsuits had been filed in U.S. courts on behalf of post-menopausal women who allegedly developed Type 2 diabetes related to use of the medication. The majority of these lawsuits were pending in a federal multidistrict litigation underway in the U.S. District Court, District of South Carolina, where trials are scheduled to begin in January 2016. Lipitor diabetes plaintiffs accuse Pfizer of concealing this risk from patients and doctors in order to protect the massive profits it derived from sales of the statin.